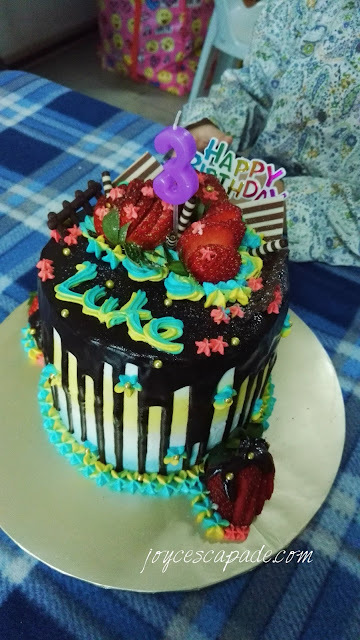 This is a belated post about my son's birthday cake for his third birthday last month. 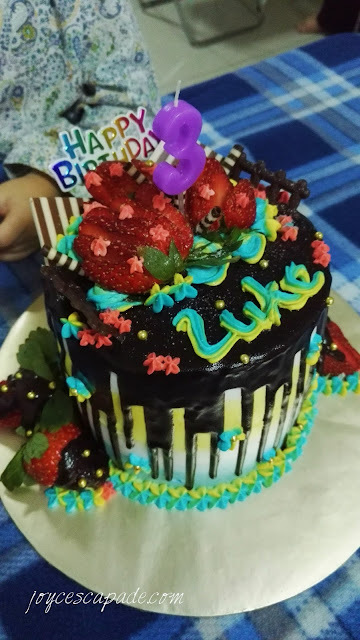 When he turned two last year, I ordered this birthday jelly cake for him from a home-based baker, Wendy (Creamy Yummy Bakery). This year, I go back to Wendy again. Before I ordered, I asked my boy about what kind of cake he wanted. He said chocolate and strawberries, two of his favorite foods on earth at the moment. So, I sent Wendy a private message on Facebook and told her I wanted chocolate sponge cake with strawberry cream and decorated with fresh strawberries. She sent me a photo of a sample cake and its price, and I agreed to it right away. When we went to collect the cake, it was presented to us, professionally placed in a cake box, complete with candle and a serving knife. The chocolate sponge cake was divine! The crumbs were moist, fine, and sort of melt in the mouth; not too sweet as well. Perfect! 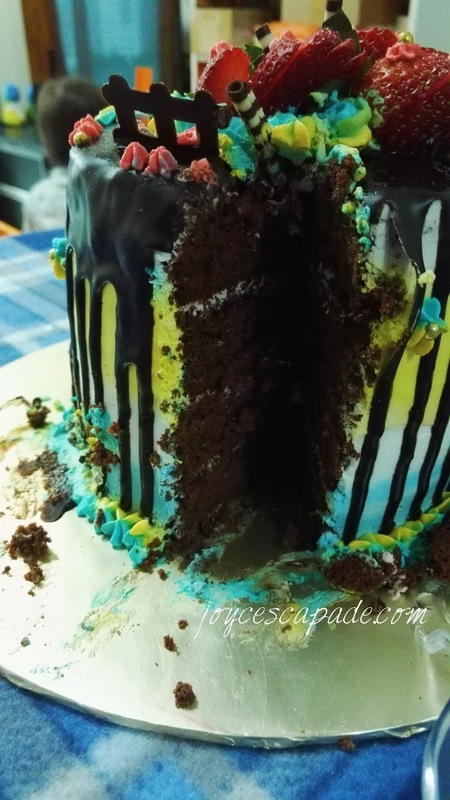 It'd be great if there's more of the strawberry cream between the chocolate sponge layers. 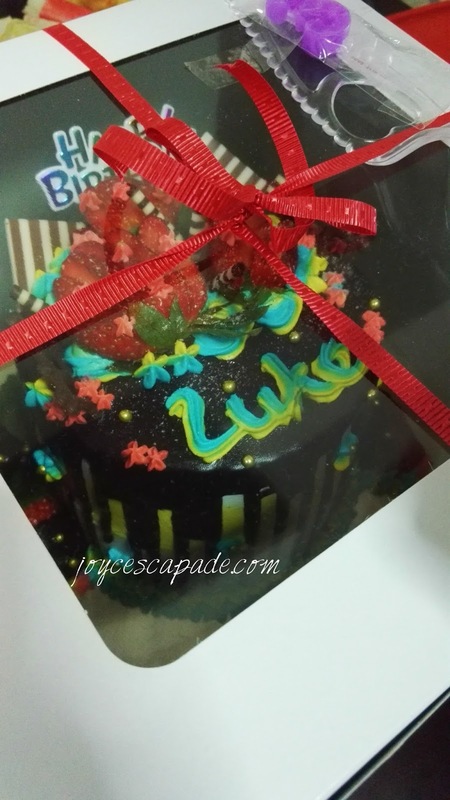 Fresh chocolate-dipped strawberries were arranged beautifully on top of the cake, alongside some mini chocolate wafers. This is not a sponsored post. 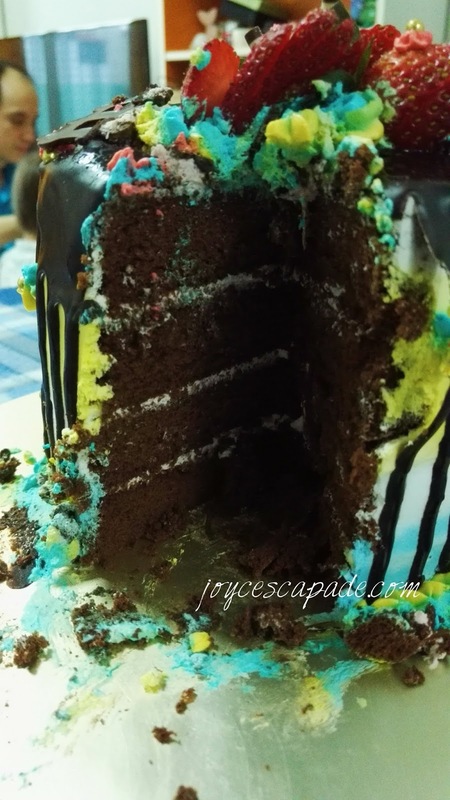 Wendy didn't require a review but I gladly blogged about this birthday cake because I loved it so much. 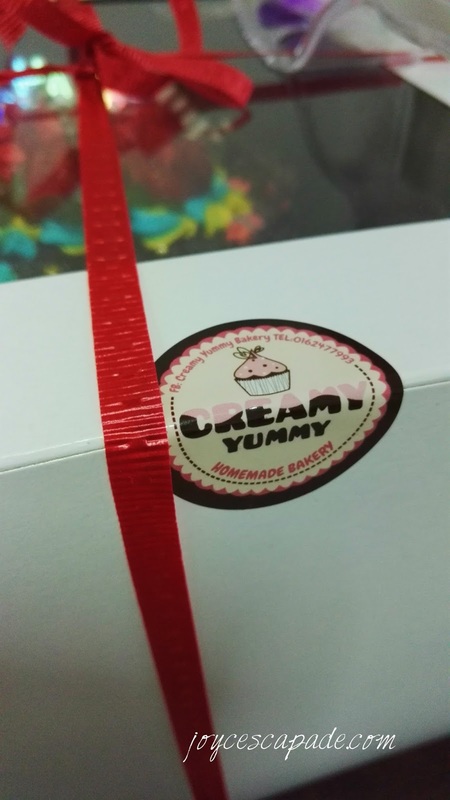 I'm listing Creamy Yummy Bakery on my Featured Mommypreneurs list.